Prior to being called “All About Shepherds”, we were Hektor Haus and had 3 wonderful litters of puppies. 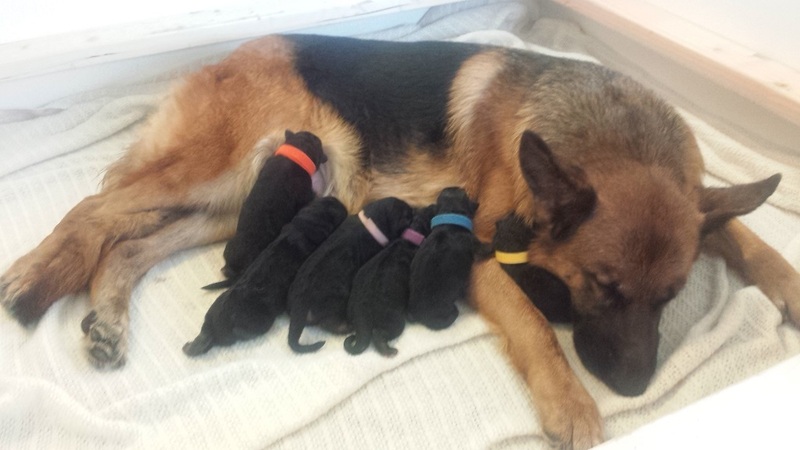 The C Litter was born on December 17 & 18, 2014. Here they are when they were born, on a fresh, clean blanket with mom finally getting some much needed sleep! Those little black sausages are now 3 year old DOGS. And, yes, we have a picture. Here is “Gretel” from the C Litter. Gretel and one of the boys had longer hair than the others. They turned out to be in extremely high demand and you can see why below! 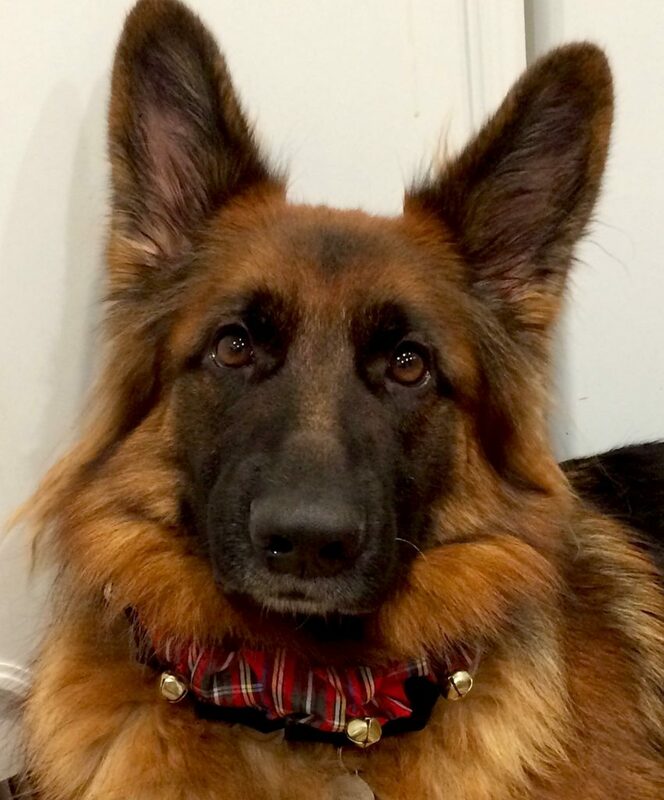 Gretel has on her “Christmas Collar”. We have heard that Gretel has a very high drive for a West German Show Line German Shepherd Dog. Happy Birthday and Merry Christmas to the Hektor Haus C Litter!